Imagine for a moment that the Israeli and Palestinian Prime Ministers hold a press conference where they announce that they have reached an agreement. Imagine too, that it settles the issue of Jerusalem, albeit by a partition in which predominantly Arab neighborhoods are transferred to a future-Palestinian state, even ones within Israel, and in exchange Israeli settlement blocks are annexed to Israel. Now imagine the international response. It would be one of jubilation, would it not? Not only that an agreement seems to have been reached, but thatit was reached between the parties, rather than imposed upon them,and therefore saves the international community the twin burdens of enforcement and maintenance, burdens still being shouldered in Bosnia twenty-three years after the conflict ended there. But what if instead of welcoming theagreement, it was met with consternation. Neighboring Arab states,none of which had shown much respect for each other’s borders,expressed consternation about the prospect of altering any of them,and demanded adherence to UN Resolution 242’s (non binding)references to the 1967 borders? What if Germany and much of the EU along with the global academic community, instead of welcoming an agreement with peacefully divided Jerusalem, objected to the idea of division wholesale, suggesting it undermined the principles of multi-ethnic states, as well as the multi-confessional nature of Jerusalem. Such a reaction would be absurd, both in its total ignorance of the facts on the ground, namely that most communities are already segregated by ethnicity and religion, but also in termsof the lack of alternatives. It would rightly be seen as an effort to torpedo the best prospect for a settlement there had ever been, and was ever likely to be, and most would look for ulterior motivations to explain such moves. Yet this is precisely the attitude being adopted towards a proposal by the Presidents of Kosovo andSerbia to normalize relations through an agreement involvingterritorial swaps in which Serbian dominated areas in the north ofKosovo will be ceded to Serbia, and Albanian inhabited sections ofSerbia handed over to Kosovo. Rather than welcoming the proposal,European leaders have expressed consternation. 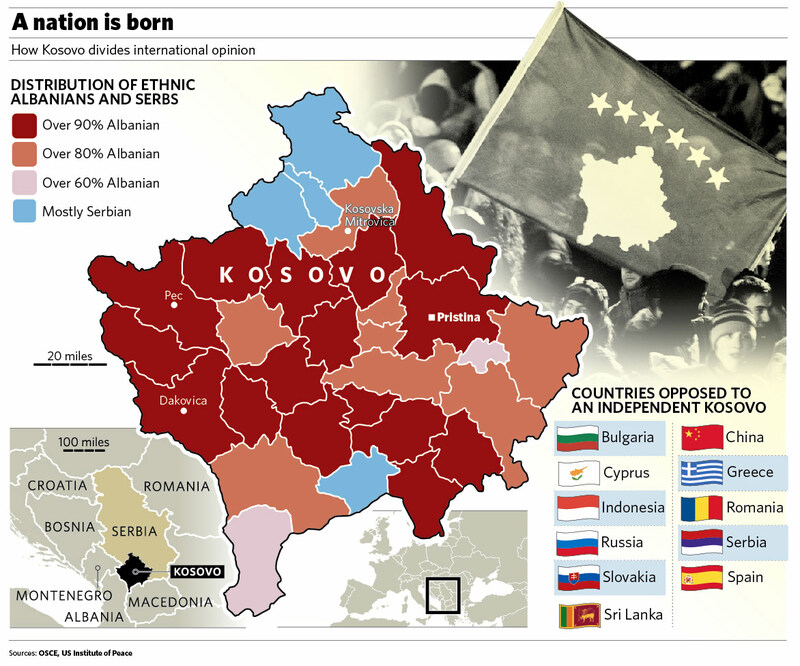 ““We can in short,think of no policy more likely to lead us back to division andconflict in the Balkans than the one which some are apparently nowsupporting,” wrote Carl Bildt, Paddy Ashdown and ChristianSchwarz-Schilling in a letter, evidently ignorant of the fact thatKosovo, despite officially declaring independence in 2006, is in aneither region, excluded from the UN, and unrecognized even by fiveEU members. Serbia too remains outside, based on EU conditions whichamount to recognition of Kosovo. The second objection, that a precedentmight be set, warrants more consideration but also falls when one considers the precedent. Often cited is the precedent for unilateral secession, such as in the Eastern Ukraine, or of the Serbian Republic from Bosnia, but the proposed agreement is between two governments,and consensual from both sides. Both governments support it, and more importantly the population of the regions involved do not want to be minorities in someone else’s state. To state that they have toremain where they are to uphold some “principle” ofmulticulturalism is to deny all involved fundamental human rights toself-determination. That is even without considering whether it’s aprinciple that is even relevant when Spain appears on the verge of offering a referendum to Catalonia on greater autonomy. This is not thefirst time the international community has shown a strange mixture ofstubbornness and principle in the Balkans leading to disaster. In1991, the Germans blocked all efforts to keep Yugoslavia together byforce, thereby removing any incentives for negotiation of a continuedunion, and then foreclosed any prospect of a consensual settlement byrecognizing Croatia and Slovenia within their administrativeboundaries in December of 1991 over the protests of the United Statesand the EC’s own representatives on the ground. Ironically, in fact, it was also Kosovo which first undermine Yugoslav unity, with decision of the Federal Army to crack down on Albanian separtists in 1989 causing domestic opinion in Slovenia to turn towards seccession, and international sentiment to show sympathy for it. 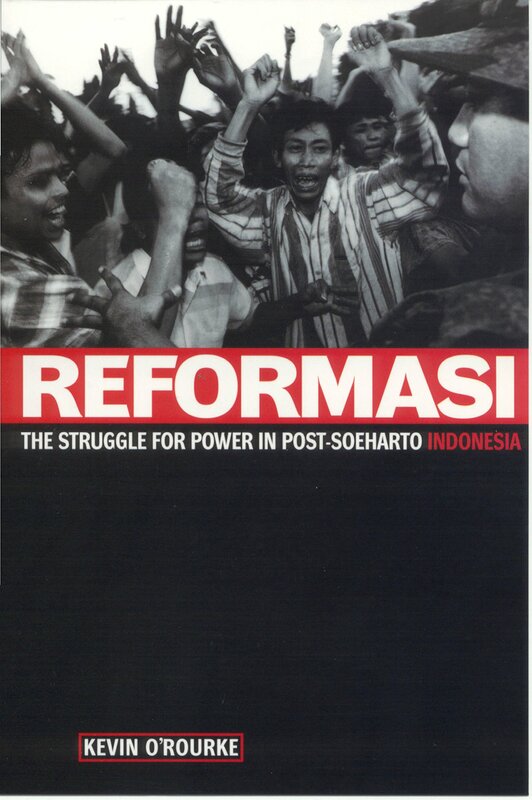 It was a certain irony that it is the only regional conflict which Western inaction in 1991, and action in 1995 and 1999 left unsettled. Thankfully, this time around, the United States occupies a stronger position. It was the United States whose military power, under the guise of NATO create the current status quo in Bosnia and Kosovo, and who diplomatically pushed through Kosovo’s quest for independence. Sheer inertia, Condoleezza Rice conceded inher memoirs drove that policy, and it was an equal assumption thatthe same inertia required that recognition to be within Kosovo’s existing borders. For 12 years therefore the policy has been to extract this from coercion, with the US pressuring nations torecognize Kosovo, and attempting to bully Serbia into recognition byholding out the prospect of Western integration if it agreed andisolation if it did not. Twelve years on, the policy is a failure.Kosovo remains unrecognized by five EU members and outside the UN,while Serbia’s pro-Western liberals have been decimated by theapproach, barely winning16% last election, having been in government in 2006. It is a testament to the statesmanship of Kosovo’s President, former KLA leader Hashim Thaci that herecognized that the impasse was largely a result of a situation in which international pressure demanded Serbia make all the concessions, and a greater testament to his patriotism that he responded by offering Belgrade more than the international communitywas requesting of him. The move should be celebrated. Instead, it is being met with consternation. European policy-makers, and much of the American establishment, thankfully sidelined in this case, are fartoo complacent about the settlement they have wrought in the Balkans since the 1990s. A settlement which has left Bosnia with nearly half of its population out of work, Kosovo unrecognized, Serbia resentful,and Croatia on the path to ultra-nationalism. If they succeed in wrecking this proposal, they may soon discover that their current“settlement” , always more of a cease-fire, is a temporary one unfit to face the challenges of mass migration, or the rise of a far-right axis within the EU. Then they will rue the day that out of complacency and selfishness masquerading as principle they torpedothe best chance they have ever had, the best chance they are ever likely to have, to achieve a settlement to one of Balkans longest conflicts, the one that arguably brought down Yugoslavia starting in1981. That would be unforgivable.